Our featured case studies show how we have solved complicated transportation and supply chain challenges for companies operating in the domestic and global marketplace. For the third year in a row, we're pleased to announce that Averitt has been honored with the prestigious Alliance Award. 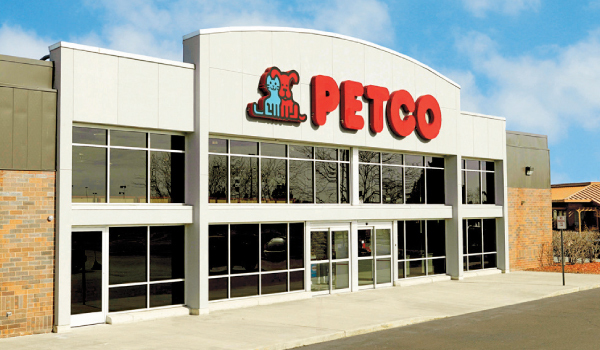 By developing a hybrid pool distribution model that catered to Virco’s national network of customers, Averitt and Virco were able to accomplish real results. 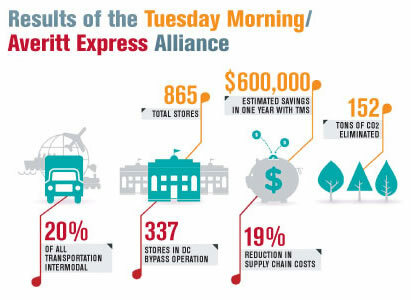 Averitt's partnership with Tuesday Morning has provided measurable improvements that led to receipt of the Alliance Award for the collaboration between the two companies. This month’s edition of World Trade magazine features an excellent story on how LTL providers are reevaluating business models, best practices, evolving trends and new technologies for their customers. Among other examples, the story profiles the nationwide distribution solution on which Averitt and Pitt Ohio collaborated for entertainment industry distributor Technicolor Distribution. Imagine what creative ideas you might get from reading this quick story! While the idea of a DC bypass is an exhilarating theory for many companies, few companies have released data to color the dream with facts and figures. 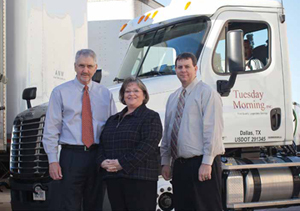 Through collaboration with Averitt Express, retailer Tuesday Morning is proving to be one such success story. Tuesday Morning's transformational best practice just so happens to be a move back to the rails in order to cope with growing truck capacity concerns - and it did so with the help of Averitt. Averitt Tailors Supply Chain Solutions for GAP Inc.
Several years ago, Gap Inc. North American Transportation recognized the opportunity to increase efficiency and productivity in deliveries to over 2,700 stores in the United States and Canada. The North American Transportation team analyzed its domestic logistics model and partnered with Averitt to creatively explore more efficient delivery solutions. Averitt recognized this need and put together an optimized delivery model specific to Gap Inc.’s business. As a result, Averitt was selected to provide time-definite delivery service for Gap Inc. stores across four markets. 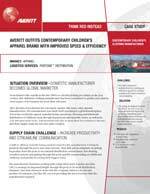 By focusing on superior service, Averitt was able to successfully adapt and incorporate the needs of Gap Inc.’s business and helped to provide a more effective and efficient delivery model to Gap Inc.’s network. Shoe Carnival needed a provider who was professional and who could offer solutions to improve their supply chain efficiency. Increase customer satisfaction by creating an efficient speed-to-market solution for time-sensitive merchandise. By using its import/export facilities, Averitt took an unconventional approach geared at avoiding peak port hours and modernizing communications among the manufacturer's supply chain partners. Streamlining the warehousing and distribution system of Vanity Fair's 14 distribution centers and 30 external suppliers. Averitt now manages the entire process for VF, from electronic data exchange to consolidation, cross-dock, and direct-to-store delivery. Improved visibility for VF's retail stores, better inventory management capabilities, and efficient tracking of inventory throughout the system. Averitt furnishes end-to-end importing solution from Far East to U.S. Streamline the flow of goods and paperwork with integrated solutions and complete shipment visibility during the entire process. Improved speed to market from 30 days to 23 days, shaving seven days off the end-to-end import process. Streamlined documentation process, eliminating costly detention charges at the ports and improving materials flow. Challenge: To manage multiple regional plants and warehouses in a more cost-effective manner. To shorten production times, order-to-delivery times and transit times on international shipments. Results: Streamlined operations, lower costs and faster transit times. 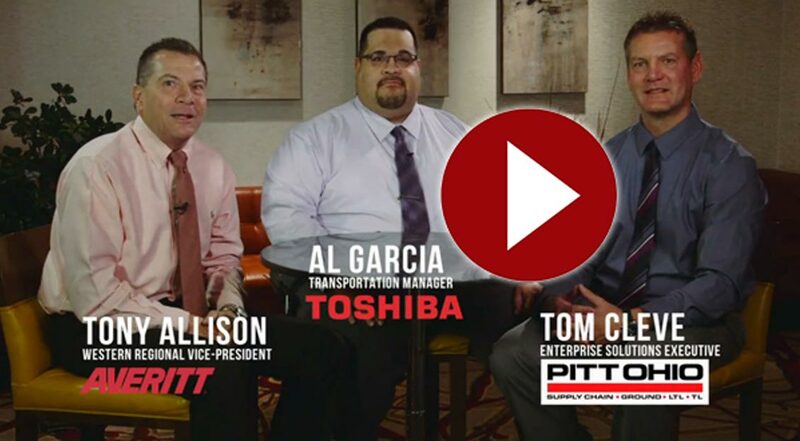 Challenge: Establish a “visible” company fleet without the operating and maintenance costs. 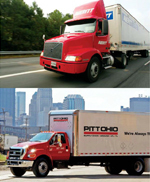 Solution: Averitt’s Dedicated Fleet Management Services. Results: More time for Cracker Barrel to focus on serving their customers. Less money spent on moving goods. 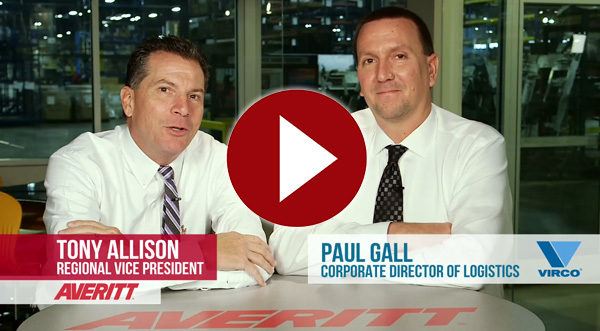 Challenge: Lowering costs and streamlining operations. Results: Significant cost savings and improved margins.